One thing that I have always encouraged with my children is reading books. Infact before my eldest was even born, I had bought 3 different sets of books for her. I find books are great way to encourage your child to learn, letting their imaginations run wild, it is also a great way to spend time with your little ones. 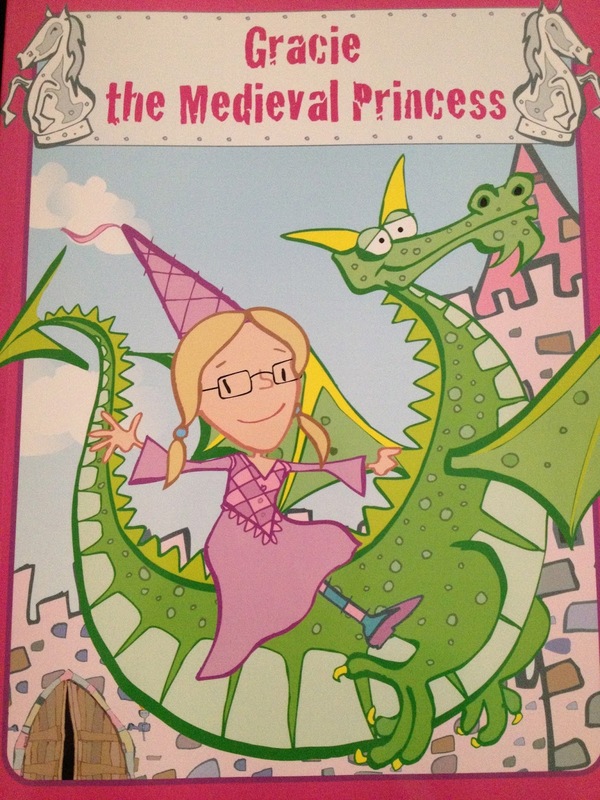 I was asked by Penwizard to review one of their personalised books. The question was, who was I going to get the book for? I decided my lovely Gracie would probably get the most enjoyment out of this kind of book so off I went to order her book. There are so many themes. You can choose from well known characters like Peppa Pig or Fifi the Flowertot or stories about wizards or princesses. I picked a book about a medieval princess as princesses are definitely the "in" thing in our house at the moment. The process of ordering the book is extremely simple. 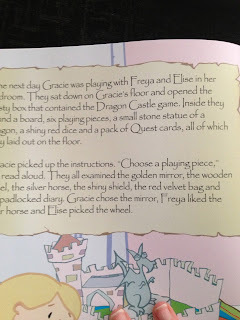 You type in your child's first and last name, decide on hairstyle, colour and skin tone and you can give two adults names and two other names, perhaps friends or family, I opted for Gracie's older sister's names as I thought this would really get her engaged in the story. That's all you have to do, Penwizard do the rest of the work, all you have to do is wait for your order. The book arrived extremely quickly and I couldn't have been more pleased when I saw it. Gracie's name was right there on the front cover and the picture really did resemble her. The cover had a shiny gloss finish and really draws you in. The book itself is a paperback and is 24 pages long, all in colour print. It is a lovely size, all the pictures and words are nice and clear and make it ideal whether you are reading together or when your child decides to have a read of it by themselves. You can see in the picture below that it fit on Gracie's lap perfectly. Now Gracie is only 3 years old, so can't read a lot of the words herself yet but she can recognise her own name, so when I showed her the new book, her face lit up!! The story is beautifully written, not too long. There is a good mix of pictures and writing and the font is a fab size and style. 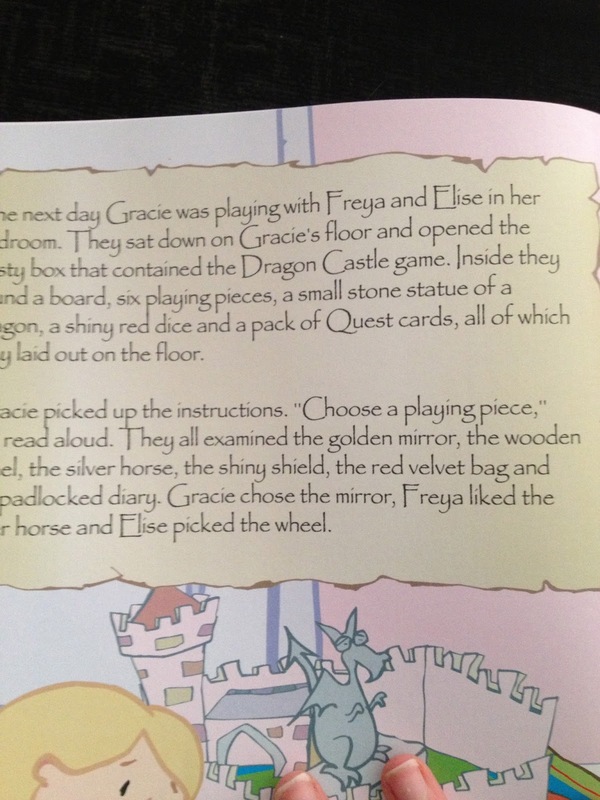 Gracie got very excited when I mentioned her sister's names whilst I read to her, her sister's were just as excited when they saw what was in the book. The only thing that would have made it better would have been if I could have chosen hair style colour etc for Elise and Freya too. 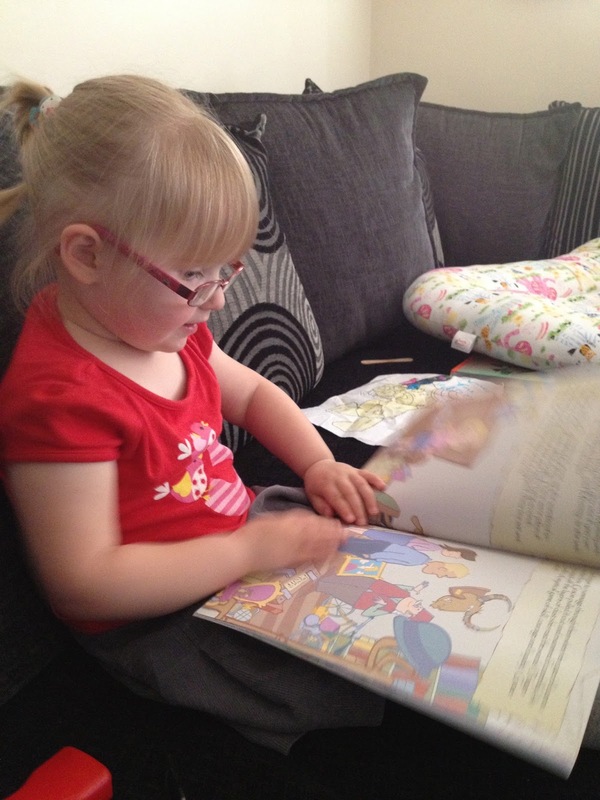 Elise, my eldest daughter is a "book worm" and instantly took it upon herself to read it to her sister's. It was really funny listening to her putting on different voices for the different characters. The way the story ended was cleverly done because it left it open for Gracie to think of what happened next, many possibilities there which could easily make the story last longer. Her sister's even started to act out what had happened in the book. Priced at £14.99, this kind of book makes a great gift for any child, something slightly different to the normal books available, it really allows your child get involved in the story and keeps them interested right up until the final page!! I think being personalised makes it a great keepsake too. You can keep up to date with all the latest news by checking out Penwizards Facebook and Twitter pages. Now tell me who would you buy one of these books for and what book would you choose?? Disclaimer : This book was sent to me free of charge for reviewing purposes however all thoughts and opinions are my own.